A larger and stronger chain, ideal for outdoor applications, such as sleeping bags, backpacks, etc. Moisture resistant. Larger, stronger chain that is moisture resistant. The color of the cloth belt and chain tooth relative coordinate, tonal and elegant. 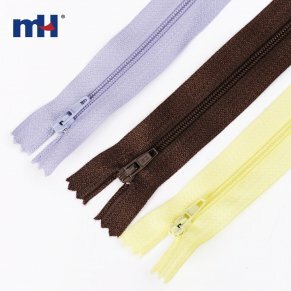 Nylon zipper soft, smooth, bright colors, the most outstanding characteristic is light.